Reduce paper and improve access to important documents with ProjectCenter. 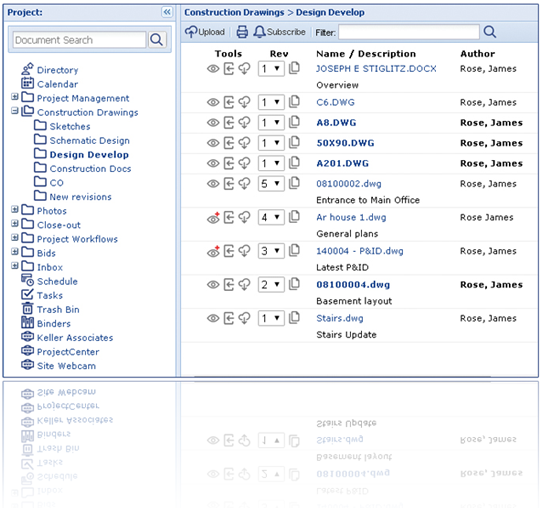 Store, retrieve, view, markup and edit documents related to any aspect of your project. With ProjectCenter, you can store and view documents in more than 250 file formats — without requiring use of the native application in which they were created. 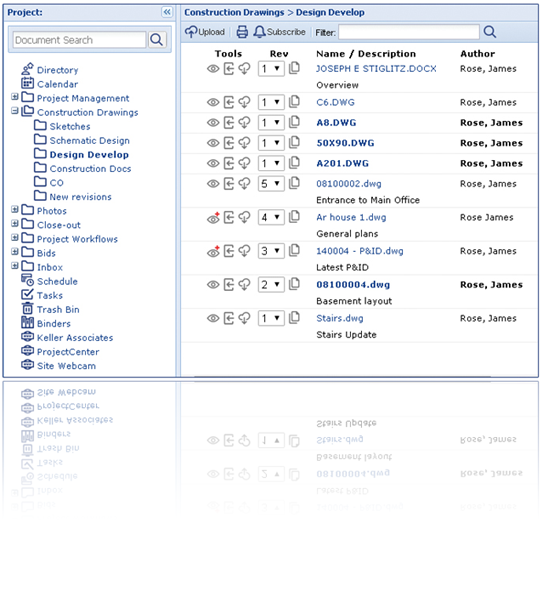 Contracts, drawings, schedules, photographs and more can be retained within your customized folder structure where you can easily find and work with them.